Band display was done at IG park Itanagar today at 4 pm . Next display will be done at 4 pm on October 5 at Akash Deep, Itanagar. October 21 this year would mark the beginning of the 60th anniversary year of Hot Spring Incident. Since then 21st of October is observed as Police Commemoration Day to commemorate the martyrdom of policemen. 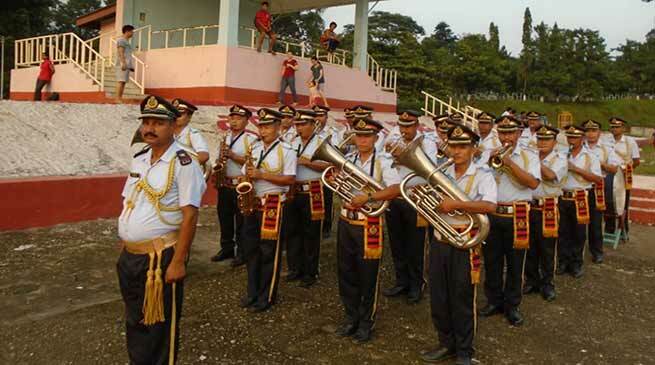 The programme was guided by Arunachal Pradesh Director General of Police SBK Singh to organise band display by PTC brass band in the run up to Police commemoration Day (21 st October) . PTC Principal Surender Choudhary inform that The band performed sequence and band display was done at IG park Itanagar today at 4 pm . Next display will be done at 4 pm on October 5 at Akash Deep, Itanagar. Display was well appraised by public.